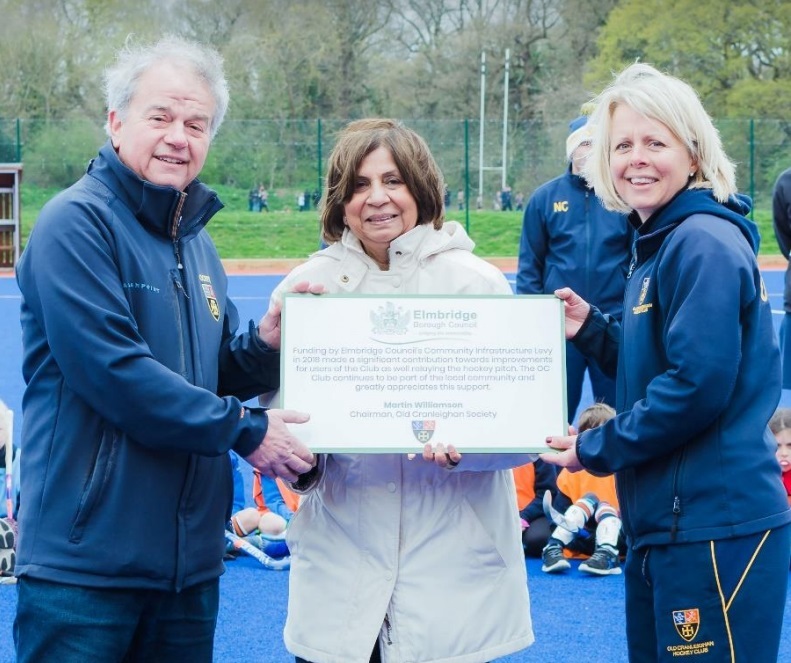 On Sunday, 31st March Old Cranleighan Hockey and Rugby Clubs welcomed Shweta Kapadia, Mayor of Elmbridge, and local Elmbridge councillors Karen Randolph, Nigel Haig-Brown and Janet Turner, to the Old Cranleighan Club in Thames Ditton. This was an opportunity for the clubs to thank Elmbridge Borough Council for their support over the past 12 months and show them recent improvements that had been undertaken. In the summer of 2018 Old Cranleighan Club set upon a series of improvements to enable it to continue as a sport facility for the wider community. 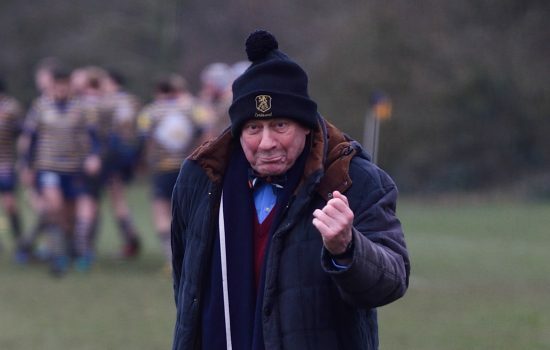 Old Cranleighan Hockey and Rugby Clubs have nearly 1500 members between them ranging from Age 6 to Age 80 playing throughout the week. 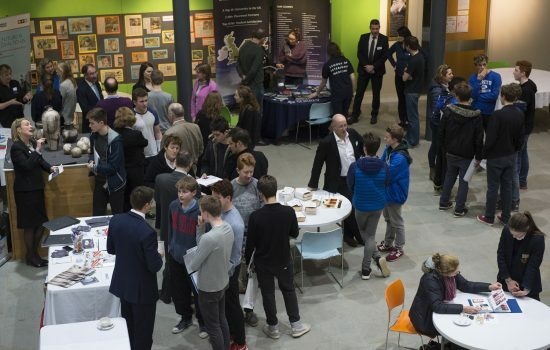 The venue also hosts a number of local schools, social and sports clubs. Through funding received by Elmbridge Borough Council’s Community Investment Levy Old Cranleighan Club was able to 1) install bike racks which are fully utilised each weekend; 2) improve the existing parking facilities to avoid congestion on the Portsmouth Road and 3) the erect secure fencing around the newly relayed all-weather pitch. In spite of the unexpected freezing cold temperatures, Helen Hawes, the OCHC Club Captain, and Simon Laws, the chairman of the Rugby Minis, presented Shweta Kapadia with a plaque to commemorate the funding received. Mayor Kapadia, who battled through being very unwell, was extremely grateful for the club’s acknowledgement stating that “despite the millions handed out through the community levy each year, rarely are we formally thanked”. As it was Mother’s Day Old Cranleighan Club made sure Mayor Kapadia was also made to feel special for giving up her time. It was also fitting that Janet Turner was in attendance. During her time as Mayor of Elmbridge in 2012-2013 she officially opened the Hockey Colts section of the club on yet another bitterly cold day, presenting the club with equipment that was used by our initial membership of 50 colts and some of which is still in use today. A great opportunity to reflect on the changes during that time and how much the children who play at Old Cranleighan’s enjoy their sport.